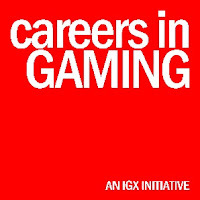 IGX, India’s largest and longest-running consumer gaming event, returns to Mumbai on November 24-25, 2018, and this year’s edition will witness the launch of the Careers in Gaming Conference. Featuring sessions from leaders in the fields of gaming and education, this two-day conference is aimed at students and parents and informing them about the education and career opportunities that exist in the gaming industry, which is growing rapidly in India. Learn about the 10-year journey of Ubisoft in India, an overview of the different projects the Indian teams work on, and how exciting Indian talent can find a foothold in the gaming industry. The present and future of the gaming scene in India. The various skill sets that are required by gaming studios and how the game design programmes help make students industry-ready. Gaming in India has picked up the pace! As more and more people come online, we are starting to welcome new games and gamers. In this session, Sharan will share how the world of gaming is evolving and what the future holds. Jaydev takes the participants in a journey of how the title of ‘Game Designer’ came to be, the dynamic roles a game designer has to play and the different processes a game designer can adapt to, based on the game at hand. 5 Steps to Study Gaming in the U.S.
During this presentation, participants will learn about the structure of US higher education, how to research and short-list universities, finance their studies (costs and funding options) and prepare their applications. From working with some of the country’s biggest gaming companies to founding of his own independent studio, Srini will landscape out the gaming potential in India and how you can kickstart your career in it. A broad overview of what it takes to be a professional artist in the gaming industry. What are the tools, philosophies, and best practices for an artist of any stripe? And how does an artist get their foot in the door? “We’ve continually added different elements to IGX over the past four years in order to engage our audiences in new ways. 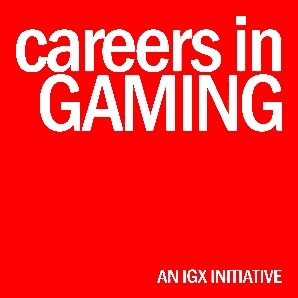 With the Careers in Gaming Conference, we hope to shed light on the rapidly growing gaming industry and the education and career opportunities within it. Our line-up of sessions featuring industry experts will give students a great insights into the World Of Gaming,” said Sameer Desai, founder, IGX.